Steve Dub (Jones) is a three-time GRAMMY Award-winning producer, mixer, programmer and songwriter. Born out of the underground dance music explosion of the early 90’s, he has gone on to work with some of the most influential artists of the past 20 years, such as UNKLE, Roots Manuva, The Chemical Brothers, New Order, The Prodigy, Leftfield, Primal Scream, Orbital, Beth Orton, Moby and Underworld. Applying his production, engineering and mixing skills, Steve has worked extensively with The Chemical Brothers from day one, helping them to achieve phenomenal global success. This includes six UK No.1 albums, 13 top 20 singles and over ten million record sales worldwide and has been awarded three GRAMMY’s in the process. Steve’s love for cutting-edge electronic sounds grew whilst assisting on album sessions for seminal acts such as Depeche Mode, Renegade Soundwave, Nitzer Ebb and The Stone Roses. Inspired by these early experiences he went on to set up DADA Studios, making a name for himself engineering for legendry labels such as Hard Hands, Zoom and Prolekult, as well as writing and producing records under his own various guises; Shi-Take, Sour Mash and Vinyl Blair. Steve’s credits are extensive to say the least. Over the years, he has produced, mixed and co-written for artists such as Roots Manuva, UNKLE, Alabama 3, VV Brown, Mattafix, The Cataracs, Sander Kleinenberg, Leftfield, Hard-Fi, Sasha, Stanton Warriors, Amanda Ghost, Erol Alkan, Klaxons, Dot Allison, Liam Gallagher, Audio Bullys, Mark Knight, Ali Love and Jack Beats. His remix credits include Katy Perry, The Prodigy, Bloc Party and Daft Punk to name a few. 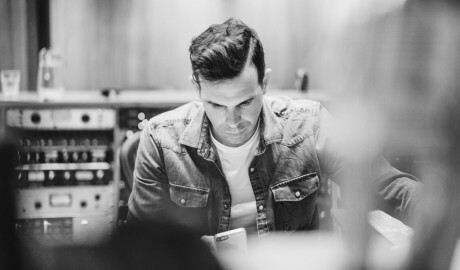 Recently Steve has produced, mixed and co-wrote Ali Love’s debut album P.U.M.P, as well as mixing for the likes of Tinie Tempah, Jagwar Ma, Example, and Clean Bandit and New Order. 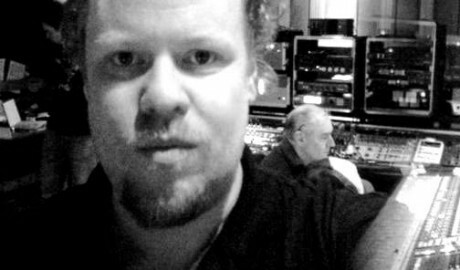 As well as producing and mixing for upcoming acts such as HOST and Slovenie, Steve Dub was nominated for two further GRAMMY Awards for mixing and engineering The Chemical Brothers’ No.1 album ‘Born In The Echoes’. Other projects of note include mixing Beyond The Wizards Sleeve’s critically acclaimed debut LP ‘The Soft Bounce’, New Order’s UK No.1 LP ‘Complete Music’, Moby’s ‘Everything Was Beautiful and Nothing Hurt’ LP and the new Chemical Brothers album ‘No Geography’.